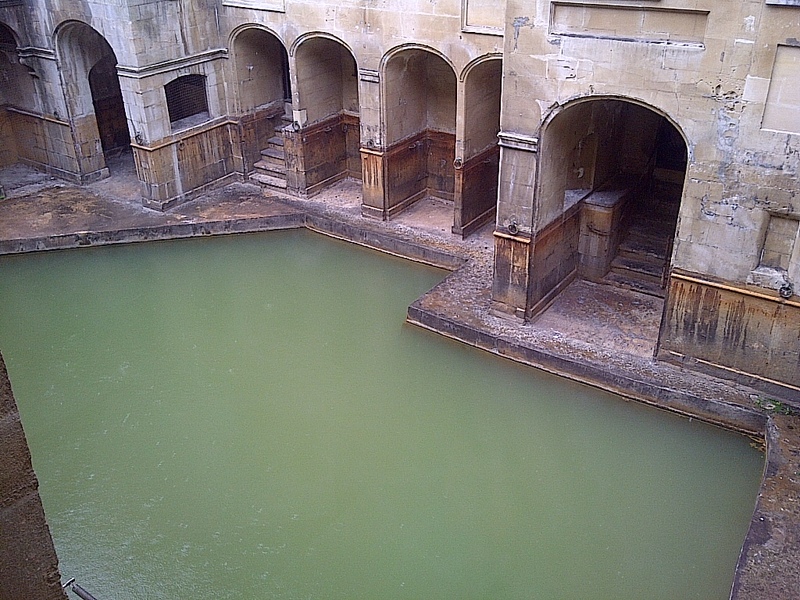 The actual source of the 98 degree, mildly sulphuric, medicinal waters of the ancient Roman Baths. The water is crystal clear but the copper oxidizes the moment sunlight strikes it. Bath, England. June 16, 2013. On the ENGLAND, SCOTLAND & WALES tour.